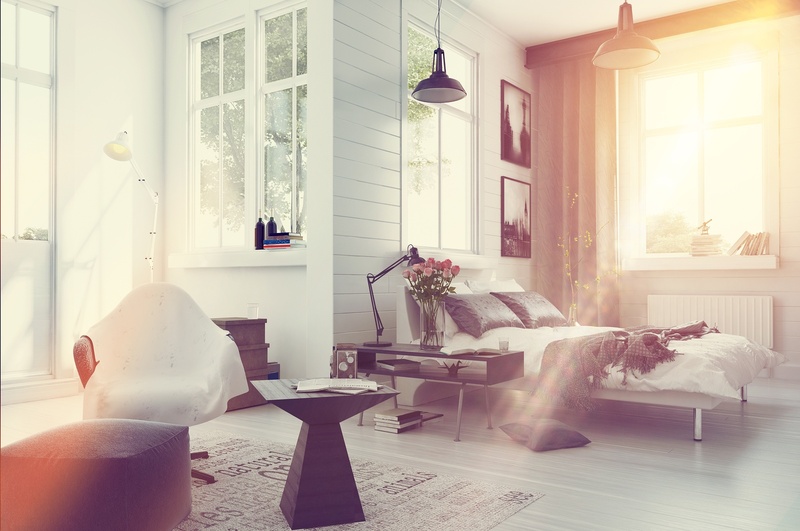 Whether you are trying to create a romantic hideaway or an artistic enclave, your bedroom should be a reflection of you and should provide a place to recharge away from the everyday bustle. If your bedroom is falling short of your expectations, try these quick tips to create a better bedroom. In too many bedrooms, the only seating area is the bed itself. As comfy as it is to climb in after a long day, the bed is not always the most inviting space at other times of the day. For smaller bedrooms, a simple corner chair can be sufficient and if you have the extra space, a small table and two seats can be just the right place for your morning coffee. The trick is to select furniture that matches your space and fits your style..
No matter how great your design is, reality will always come creeping back in as you use your bedroom. We all keep our phone chargers, books, and other necessities next to the bed, and trying to keep them out is unrealistic. Instead, make sure your bedside tables have storage options so you can keep knick knacks next to your bed without interfering with your design elements and adding unsightly clutter. Far from being an afterthought, the right window treatments can be the one design element that makes or breaks your room. Window coverings serve an important function as you want to be able to add privacy, darken the room, or let in the bright sunlight depending on the time of day and your mood. In Las Vegas, shades are often the ideal addition to any bedroom as they don't add bulky weight like draperies would while also providing versatile options for lighting and privacy. For the most luxurious experience, choose motorized shades so you can change the entire feeling of your bedroom at the push of a button. Getting the perfect shades for your bedroom is as simple as a free in-home consultation from Polar Shades. We'll work with your room and your budget to find the solution that works best for you. To learn more about our products or to schedule your free in-home consultation, contact Polar Shades at 702-260-6110 today!